Light hearted Sagittarius is the happy optimist of the zodiac. Fun loving, and always high-spirited, Sagittarians add a wonderful dose of positive energy to any environment. For those born under the astrological sign of Sagittarius the glass is eternally half full. Saggitarians tend to be very attentive to the needs of others, and are very "tuned in" to what others are thinking. Their natural powers of perception, combined with their uplifting energy make them excellent conversationalists. Often gifted with an amazing sense of humor, Sagittarius can make almost anyone smile. 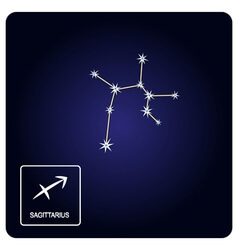 Sagittarians are extremely tactful and diplomatic for the most part -- although they are not afraid of bending the rules if it will make everyone happy. They are honest and respectful, but occasionally lose their temper if treated unfairly. If Sagittarians experience moodiness or depression, they may hide this side of themselves from the rest of the world. While others see a light-hearted, happy side some Sagittarians always determined to at least "look happy" may conceal their moodiness, hiding it from others. Sagittarians are always on the go. They love travel and prefer new things over esttablished patterns. In the workplace, Sagittarius is always well liked. In highly stressful and demanding work environments Sagittarians often provide a much-needed sense of stability. Their very presence can take an otherwise difficult interpersonal situation, and make it tolerable and even pleasant. 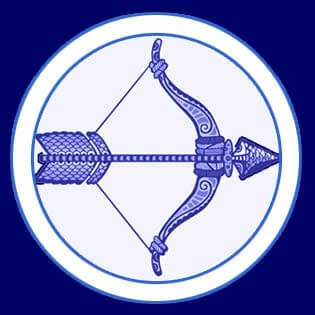 Sagittarians are very rule-minded people, and don't like to see others taking unfair advantage of a situation. They typically come to the aid of others, and are always able to find a positive solution in the most trying times. If you're in a tight spot, you'll always want a Sagittarian on your side. Hard working and always quick thinking, they always land on their feet. Extremely giving and honest, Sagittarians seek partners who they can trust implicitly. They seek soulmates with whom they can travel, explore new ideas and laugh. To Sagittarius, laughter is the root of all things. No problem or situation is too serious for laughter -- and through laughter one can get through anything. Sagittarians are very passionate, but often seek a light-hearted relationship for long periods before revealing their deeper, soulful side.